Properties in Cavarzere average 4.1 out of 5 stars. MAISON DE CHARME luxurious app. in country villa with pool, WIFI, air condit. Property 2: MAISON DE CHARME luxurious app. in country villa with pool, WIFI, air condit. New modern beach front apartments in Rosolina Mare, with all comforts. Property 19: New modern beach front apartments in Rosolina Mare, with all comforts. Modern holiday home close to sea front, in Rosolina Mare, near Venice. 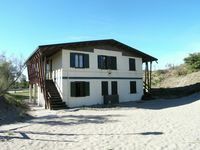 Property 25: Modern holiday home close to sea front, in Rosolina Mare, near Venice. 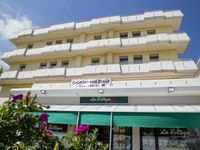 Recently renovated beachfront apartment in Rosolina Mare. Property 26: Recently renovated beachfront apartment in Rosolina Mare. Property 31: Sun-drenched seaside holiday home close to Venice. Very nice apartment and location at seeside ! The host Mr Boscolo was very helpful and nice ! Parking and sunchairs on beach was invluded. It was also very nice and clean apartment. City of Chioggia and Boattrip to Venize was super.